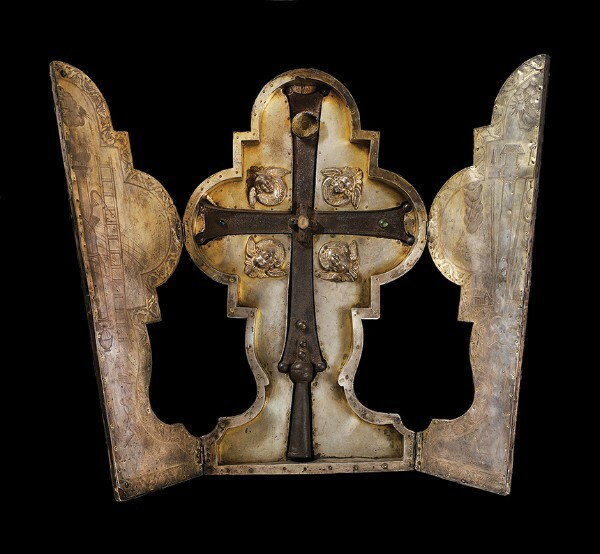 Cross of King Ashot II Yerkat‘ (the Iron) and Case. Cross: Dvin (? ), late 9th or early 10th century; case: Russia, 1893. Cross: Iron, colored stones, and glass; case: silver cover wood Cross: 59 x 35 cm. ; case: 64 x 39 x 6 cm.